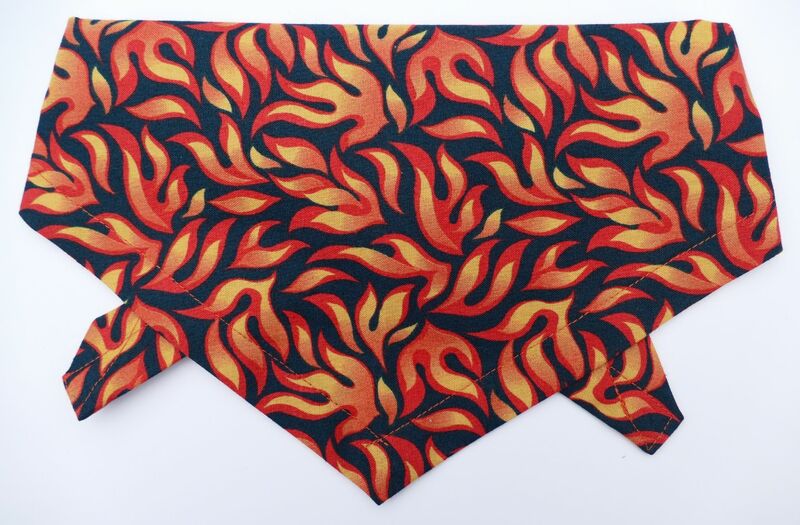 A super-cool Flame print dog bandana from our Premium range. 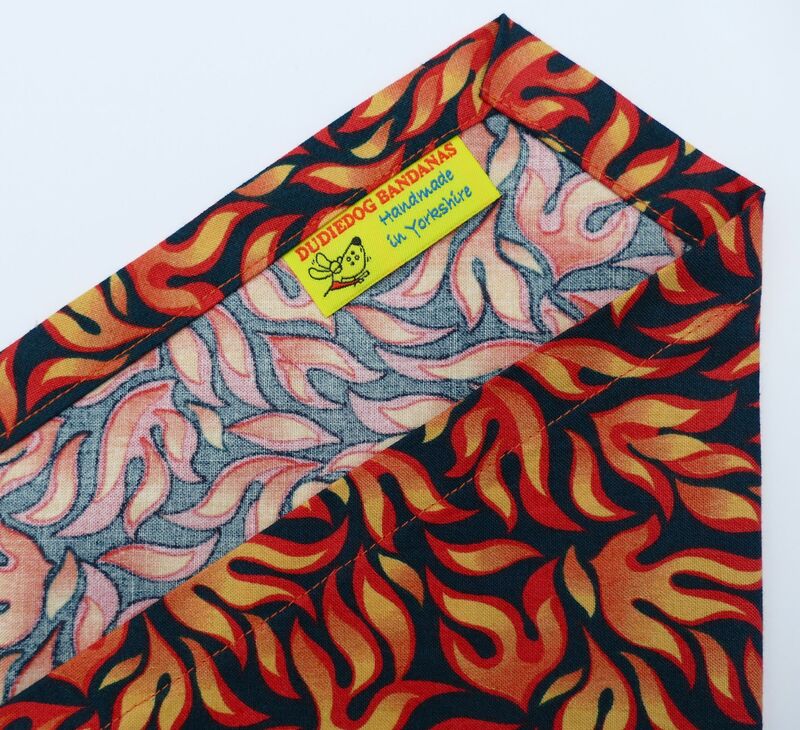 The design has flames in shades of yellow, orange and red on a black background. 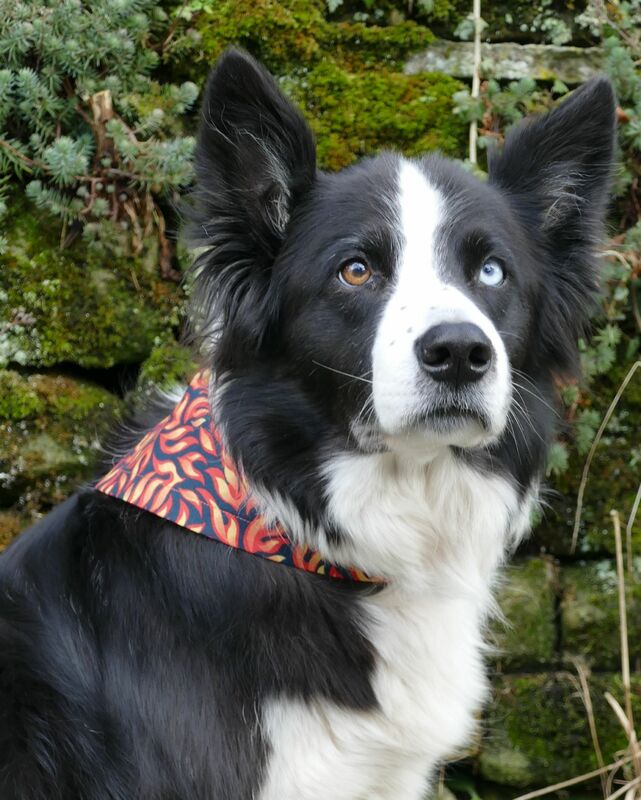 It's a fabulous design, and is particularly perfect for Dudiedogs who love to stand out from the crowd! 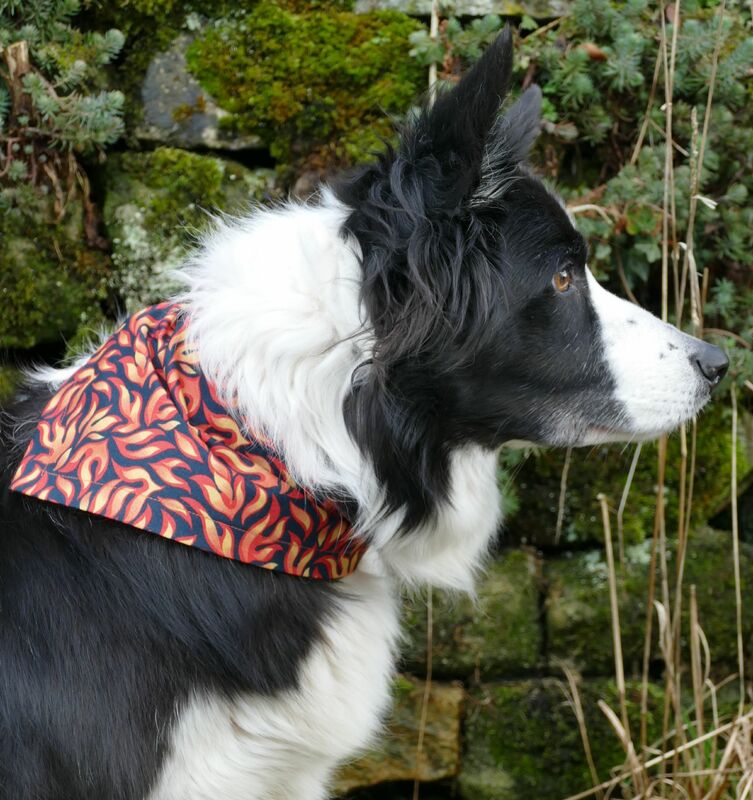 It's a lovely bandana for any occasion, for any fun loving dog about town or country!